I had always thought the Taj Mahal was within the capital of India, but as it turns out it’s actually hours away. There are lots of trains that run to the city of Agra where the Taj Mahal is located, but I chose to drive. Halfway to the Taj Mahal I stopped at a restaurant by the request of my driver. He did this on the way back too and claimed he had to use the bathroom which was understandable. He did happen to stop by a place that had a large silk shop which he encouraged me to visit. I realized he was doing the same ploy as other drivers which was to try force me in a store and disappear for a while. His tactic failed and by now I was pretty annoyed at every driver taking me to a shop hoping he’d get a commission of anything I might buy. 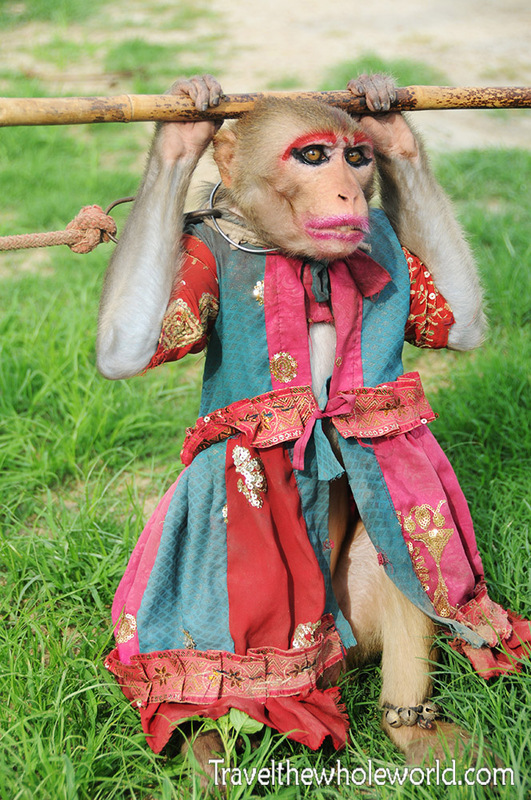 The only good thing I got out of this was seeing the dressed up monkey! Less than a year before I came to India, my sister had also visited and saw the same monkey, so it looks like if you’re visiting the Taj Mahal, then you get to see the monkey whether you’re interested or not. The distance from New Delhi to the Taj Mahal isn’t so long in terms of miles, but the entire drive doesn’t use any true highways, but rather city streets with stop lights, bicyclists and extremely slow trucks. After about fours hours I arrived to the entrance of the Taj Mahal complex. Everything here was extremely clean and well kept, and I was immediately impressed! When you imagine the Taj Mahal more than likely you’re thinking of the main structure. But the Taj Mahal is actually a large complex. The photo above shows the Taj Mahal Mosque. Built of red sandstone and topped with three large domes, it’s one of many impressive buildings here. 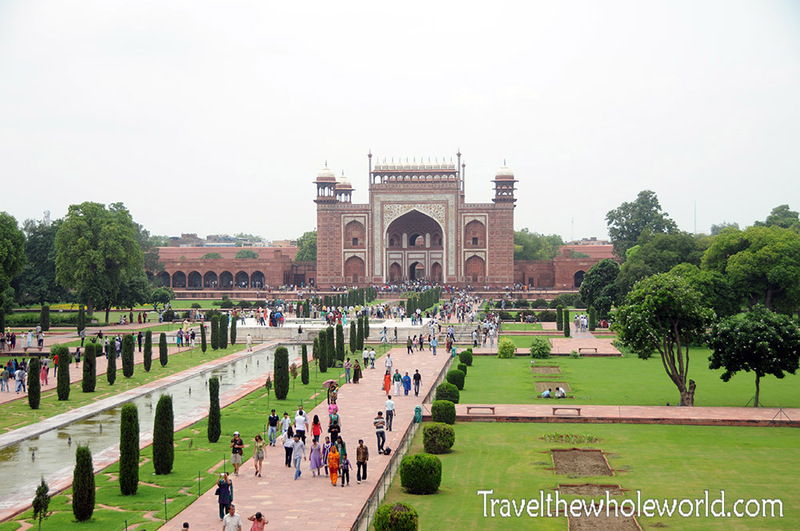 As you face the Taj Mahal, the mosque is located to its left which faces Mecca to the west. On the right side of the Taj Mahal is a nearly identical building called the Mehmenkhana guest house, giving the complex a symmetrical layout. Like the mosque, the Mehmenkhana is also built out of red sandstone and has been here for centuries. When I finally got to the Taj Mahal, there was no question to me that this is certainly one of the wonders of the world. I also believe the Taj Mahal to be the most beautiful place in all of India. The architecture and history all combine to make this a very sacred place, and a world wide symbol of love. 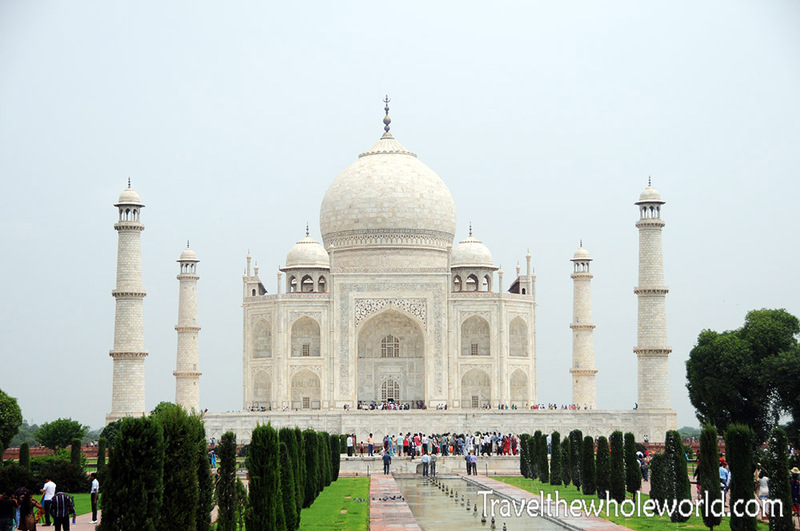 The story of the Taj Mahal begins with Shah Jahan who was born in the late 1500’s. At the age of 15 he met a girl only a year younger than him and immediately fell in love with her. They were happily married until she died during child birth during the year 1631. By then Shah Jahan was the Mughal emperor and made no attempt to hide his suffering and pain. 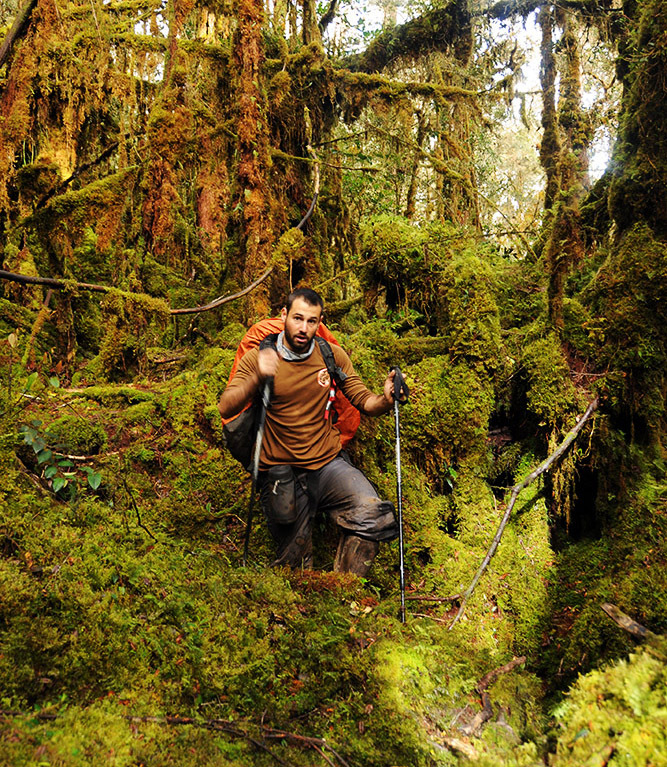 He locked himself up for over a week without food and water and emerged emaciated. The local courts were told to mourn for two years and he also ordered the construction of a beautiful mausoleum for his wife’s final resting place. The Taj Mahal required the work of tens of thousands of men and took over two decades. Hundreds of years later the Taj Mahal is one of the seven wonders of the world representing love and passion. 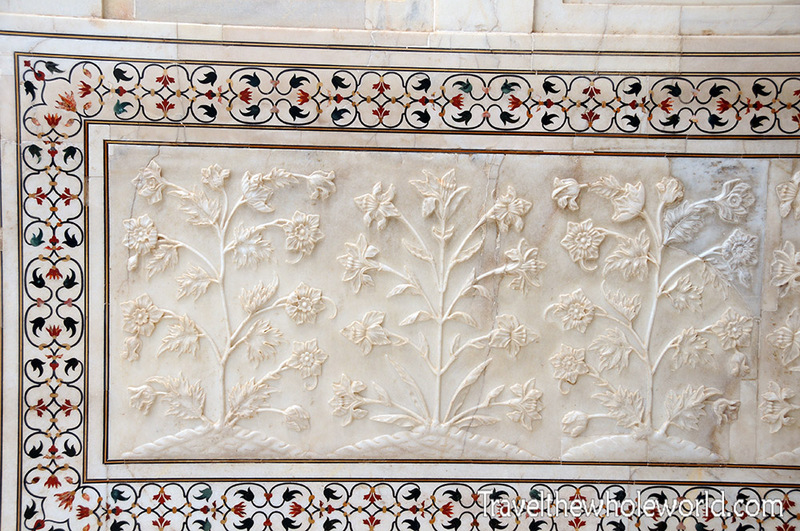 My photos above show the Taj Mahal itself and some details of the marble used for decorations. No photos are allowed inside the mausoleum, otherwise I’d have a lot more to share here! 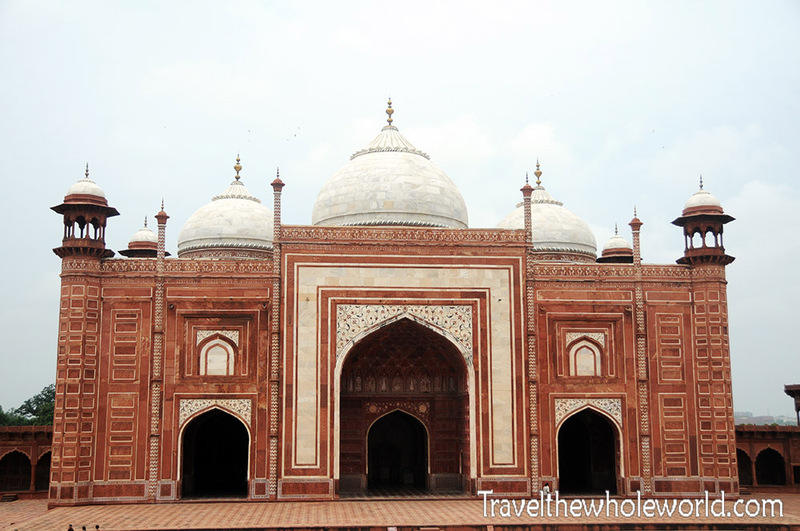 While traveling in Pakistan I did visit the tomb of the fourth Mughal emperor Jehangir, or Shah Jahan’s father. Photos were allowed there and I found the architecture to be nearly identical.